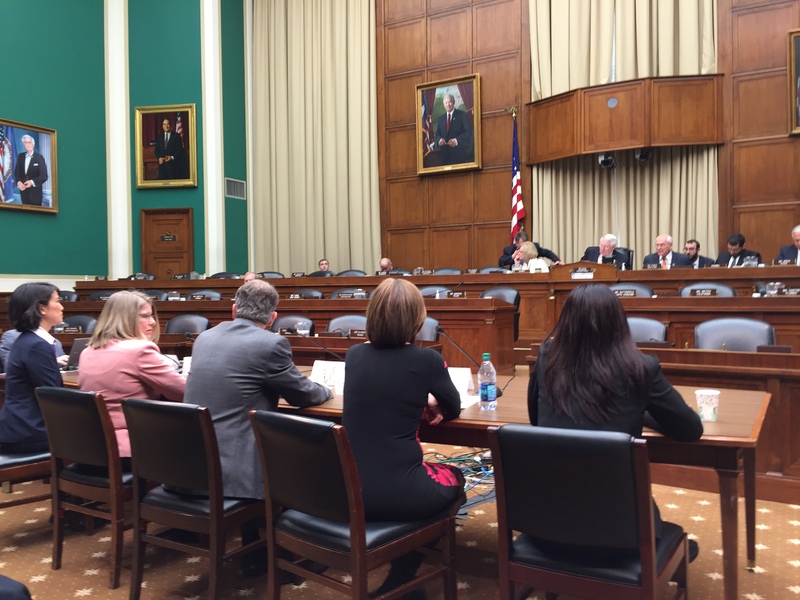 On Wednesday, the House Energy & Commerce Subcommittees on Environment & the Economy and Health heard from a range of witnesses on what is needed to diminish the likelihood of another “Flint” in the drinking water community. Members agreed that the focus should be on finding solutions rather than pointing fingers. There was also significant interest, from both sides of the aisle, in escalating the timeline for regulatory actions to further revise the Lead and Copper Rule. Testimony was provided by two witness panels. The first panel focused principally on Federal and state activities moving forward. Joel Beauvais (EPA Office of Water), Dr. Nicole Lurie (US Department of Health & Human Services), Nick Lyon (MI Department of Health & Human Services), and Keith Creagh (MI Department of Environmental Quality) each spoke about their respective agencies steps to mitigate the health impacts on children, the restoration of potable water service to the community, and plans to strengthen the Federal Lead & Copper Rule. The second panel offered insights from experts within the drinking water and public health community. Panelists included Joan Alker (Georgetown Center for Children & Families), Steve Estes-Smargiassi (MA Water Resource Authority), Dr. Mona Hanna-Attisha (MI State University), June Swallow (RI Department of Health Drinking Water Program and ASDWA President), and Mae Wu (NRDC). In her testimony, June highlighted not only state responsibilities and actions relative to LCR implementation, but also the work that is necessary to control all of the other regulated contaminants as well as deal with emerging issues. She also encouraged Members of Congress not to forget to adequately support the “human infrastructure” in the states. You may view the hearing in its entirety (+ 3.5 hours) on the Energy & Commerce Hearing webpage at: https://energycommerce.house.gov/hearings-and-votes/hearings/flint-water-crisis-impacts-and-lessons-learned. This link also provides access to all witness testimony.